NUWAKOT, Dec 1: There are altogether 208,191 eligible voters in Nuwakot but only 139,761 of them participated in the recently concluded first phase of parliamentary and provincial elections on Sunday. The overall voter turnout was 67% in the district. As per the details provided by the District Election Office (DEO), the voter turnout decreased by eight percentage points as compared to the recently held local elections. A total of 184,782 voters had cast their votes in the local elections. At that time, the voter turnout was recorded at 74.90%. After the local elections, 22,000 new voters were added in the voters’ list. But still, less number of voters exercised their voting rights in the elections. As the harvesting season is running, most of the voters especially in the rural parts of the district are busy at their farm. 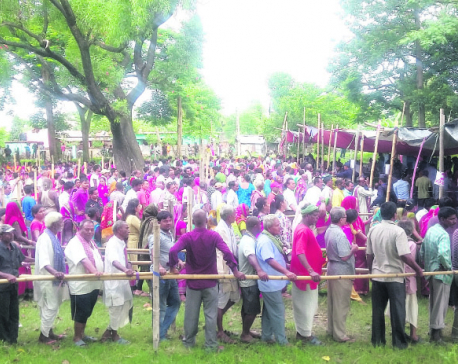 This has been attributed to the low number of voters participating in the elections, according to Saraswoti Bhatta of ward-4 of Bidur Municipality. “Even the voters’ education was ineffective due to which many locals were indecisive of casting votes. They were not even aware about the voting process,” she said. If the voters’ education had been conducted properly, perhaps more number of voters would have exercised their voting rights, he stated. Besides that, a large number of youths are out of district while some are even out of the country in search of employment. Many of them could not visit their hometowns due to various reasons. Besides that, the same old agendas of the candidates didn’t really impress the voters this time. Some locals said they are very much disappointed with the political party leaders and candidates because of which they didn’t cast their ballots. Many of them refrained from voting to vent their ire toward the parties and leaders. Narnath Nepal of Belkotgadhi Municipality, ward-.7 has been voting since the elections of 1958.
for the low voter turnout. Janardhan Adhikari, Chief District Officer of Nuwakot informed that the people lacked the kind of enthusiasm and excitement they had during the local elections. “This election was announced immediately after the local elections because of which many people living abroad and in cities could not manage leave from their workplaces,” he added.